Believe it or not, you have within your power the ability to make caregiving as difficult or as easy as you want it to be. Most people don’t want caregiving to be difficult, but there are little things that you may be doing that can make being a caregiver way more difficult than it has to be. If you’re not getting enough sleep, or you’re getting poor quality sleep, you’re likely to feel run down constantly. Getting little to no sleep can also run down your immune system, making you more susceptible to even little bugs that go around. Start going to bed at the same time every night and figure out what could be causing your sleep schedule to be so far off. Subsisting on junk foods or processed foods doesn’t give your body the nutrients that it needs to run like a finely-tuned machine. Look at what you’re eating and when. If the microwave is your primary source of cooking, you need to revisit your diet. Work with your doctor or with a dietician to determine the best way of eating for you. Exercise has so many more benefits than just helping you to slim down. There are mental and emotional benefits, too. Exercise can also help to fix sleep problems if you’re not able to find other solutions. Talk with your doctor before beginning any exercise plan to make sure that you’re doing the type and duration of exercise that is right for you. The bottom line is that everyone needs a break now and then. If you keep going, trudging along every day as though you don’t need time away, you’re going to run yourself down. It’s essential to have time to yourself whenever you need it. 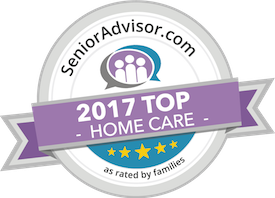 Talk to other family members about taking over for you or hire elder care providers who can stay with your loved one for you. Make time for you a regular part of your daily and weekly routine. Take a long, honest look at your self-care plan and pin down the areas that need changing. Once you have some goals, you can set about doing what you need to do in order to meet those new goals. Have questions about caregiver services in Honolulu, HI? Contact the caring staff at All Care Hawaii today. Call Oahu (808) 206-8409 or Maui (808) 664-3853. Call us 24 hours a day, 7 days a week!